Eric Yao, Managing Director for Ghana Post Company Limited, has cautioned encroachers on a 92-acre property at Bubuashie in Accra to relocate or face losing their properties in an impending demolishing exercise. Mr Yao told journalists in Accra yesterday that the demolishing exercise formed part of measures to fully move people off all the company’s land and develop them as part of measures to revamp the company. 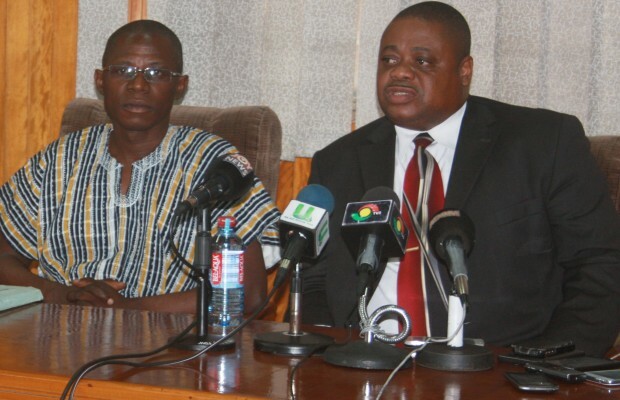 He said Ghana several attempts to issue several warnings to the illegal settlers to relocate had fallen on deaf ears. “We have had discussions with the Accra Metropolitan Assembly (AMA) and we have given them the go-ahead to zoom in on the site anytime from now to demolish all structures on the property,” Mr Yao stated. He disclosed that this is the first of a series of demolition exercises that would be carried out on encroachers of Ghana Post properties across the country. “We have about 800 acres of land around Adenta and another around Pantang which have seriously been encroached but we have also taken steps to take back that land to benefit the company and our community as well,” he said. Charles Aseidu, Head of Estate at Ghana Post who took journalists round the site in Bubuashie, mentioned that the company thought it wise to undergo the demolishing exercises in order to leverage some of their properties around the country to generate additional income to support the core postal operations. “The property in question that we intend to leverage is at Bubuashie. Since 2007, we have had series of discussions with the people on the land and we agreed on the time that they had to vacate the land. “Unfortunately, come the day they were supposed to leave, they rushed to the courts claiming that we had not given them enough notice to leave the land. Fortunately for Ghana Post, we were able to convince the court and the High Court ruled in our favour,” he mentioned. Mr Aseidu appealed to the Lands Commission to help government agencies to secure straight leases instead of certificate of allocation which is one of their major challenges.